The session started within Avebury Education Room, where we all congregated for formal intros and to chat about the day’s proceedings. A tempting finger buffet was placed before us with red & green grapes, satsumas, fig rolls, garibaldis, biscuits etc. Just what we were going to need for a mornings walk in the chill fresh air. After filling our pockets with the remaining offerings (ok, just me then) we set off out to the car park. It was a lovely, sunny, crisp and frosty start to the morning which meant for lovely views over the whole area. On walking to the cars, we passed the Alexander Keiller Museum and dovecot, (which will be the focus of a later session) and were able to briefly walk alongside part of the banks of the North West & South West sectors of the henge. After we did the maths and managed to get everybody into vehicles, we set off for Windmill Hill. 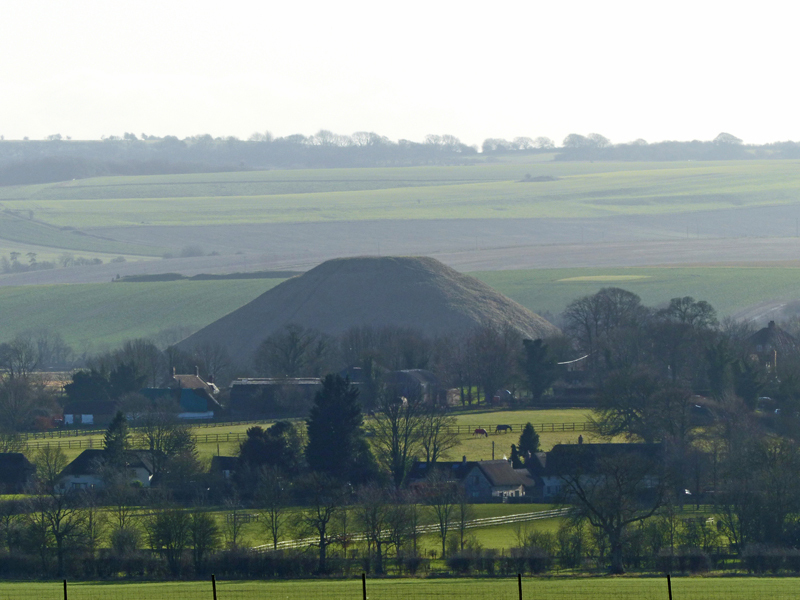 Out of the car window, there were fantastic views of Silbury Hill in the near distance. 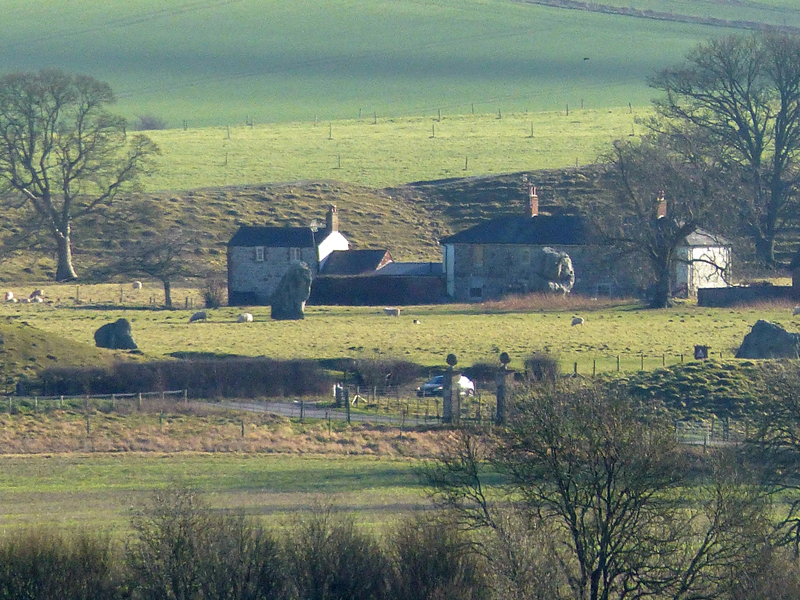 On driving through Avebury Trusloe we arrived at some farm buildings which was to be our rendezvous point. Whilst waiting for all peoples to be ferried up, I took in the view of Windmill Hill ahead. Once we had all arrived, we commenced our walk on up the gentle slope of the hill itself. We walked along the hedge lined track until we reached Horslips Bridge on the first bend of our path. Under the bridge slowly flows the River Oslip. 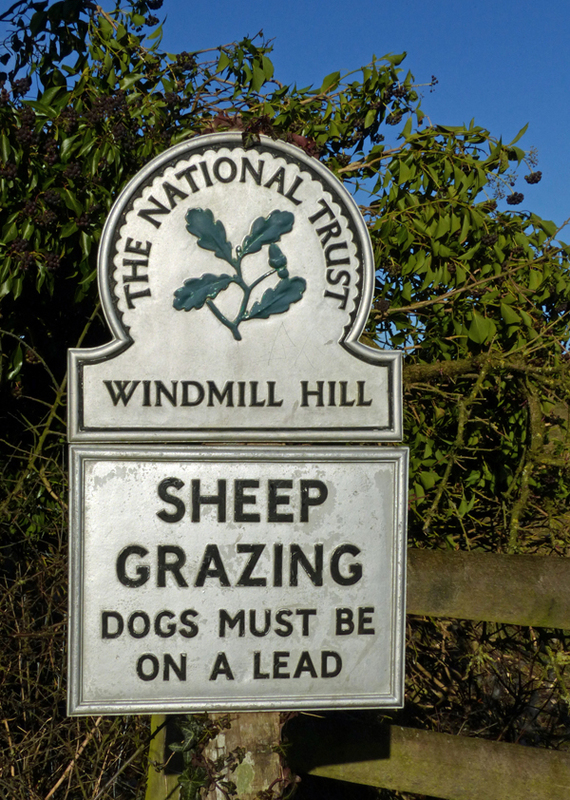 The river is said to be fed by springs around Windmill Hill and may have been a primary supply of water for Neolithic peoples of the hill. 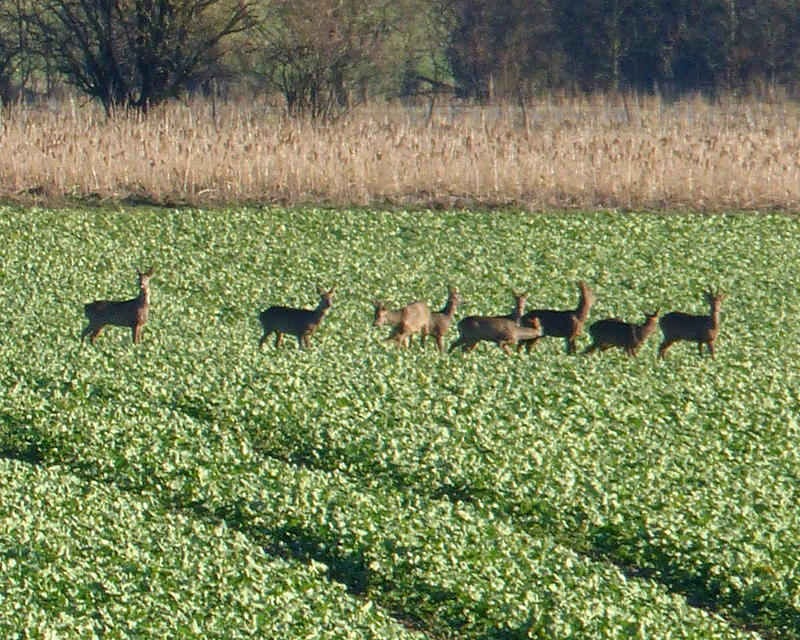 On passing the Oslip, I noticed two roe deer in the adjacent field and stopped to take pictures. Further along the path some more deer started to show. We all stopped to take a look at these graceful animals. 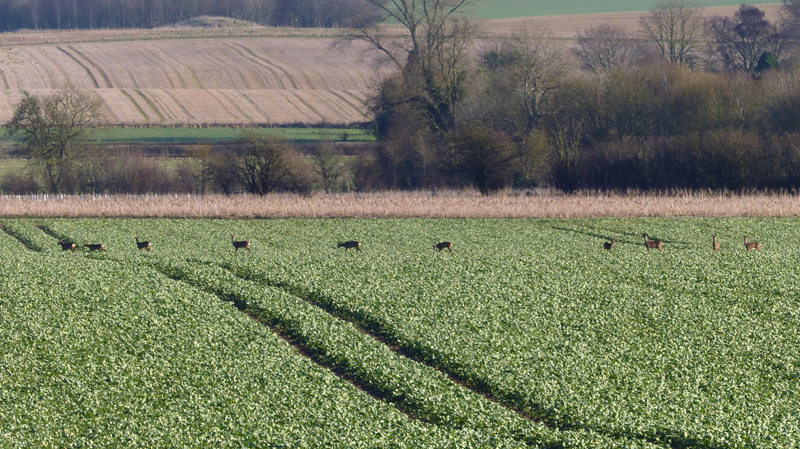 A total of ten deer emerged and started to walk away from us to the far end of the field. Slightly further along a volunteer pointed out the location of a long barrow, Horslip Long Barrow. The earthwork, though not fully visible from the path, made its presence known by an area of longer, rougher grass. After what was a moderate walk for some and a huge walking achievement for others, we reached the start of the enclosed area of Windmill Hill itself. On arrival, I myself was met by the occasional dulcet sounds of song (wink). Some of the group had started to sing a tune and others joined in on arrival, finishing in a crescendo of carefully orchestrated vocal harmonies, at one point out competing the resident skylarks! For me personally, the singing was a great way of releasing certain pent up energies and emotions as well as allowing the opening of the rusty gates of self-expression. 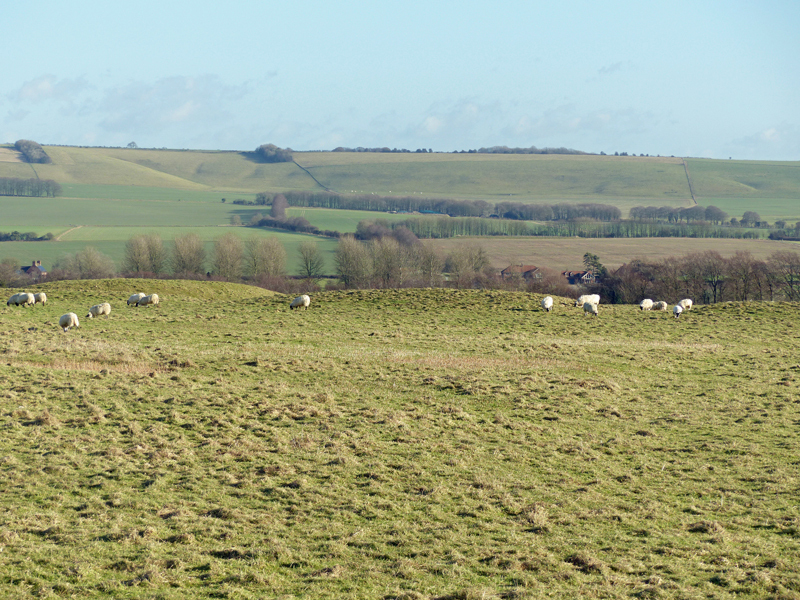 On top of the hill views were fantastic, with a 360 vista of the surrounding downland scene. One of the leaders gave a talk about the history of the site. 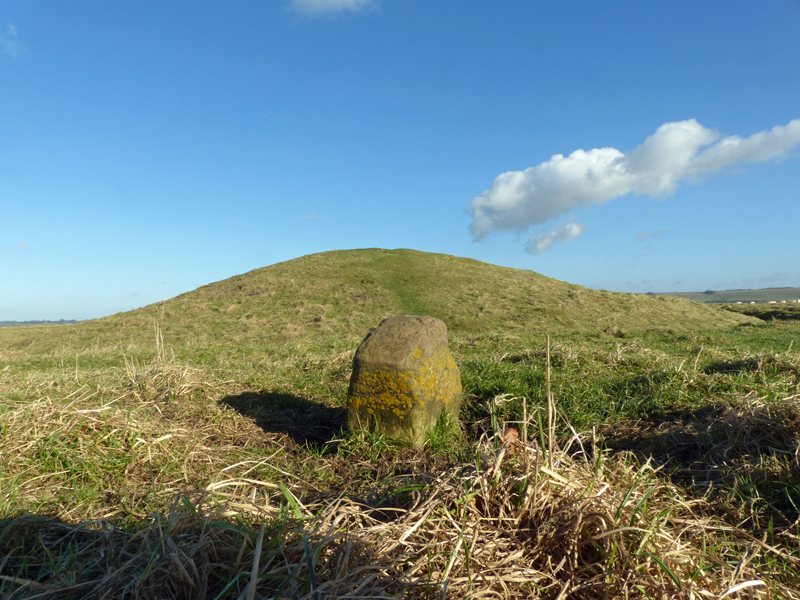 Windmill Hill is a causewayed hill enclosure constructed during the early Neolithic, c 3680 BC. It is the oldest site within the Avebury complex. 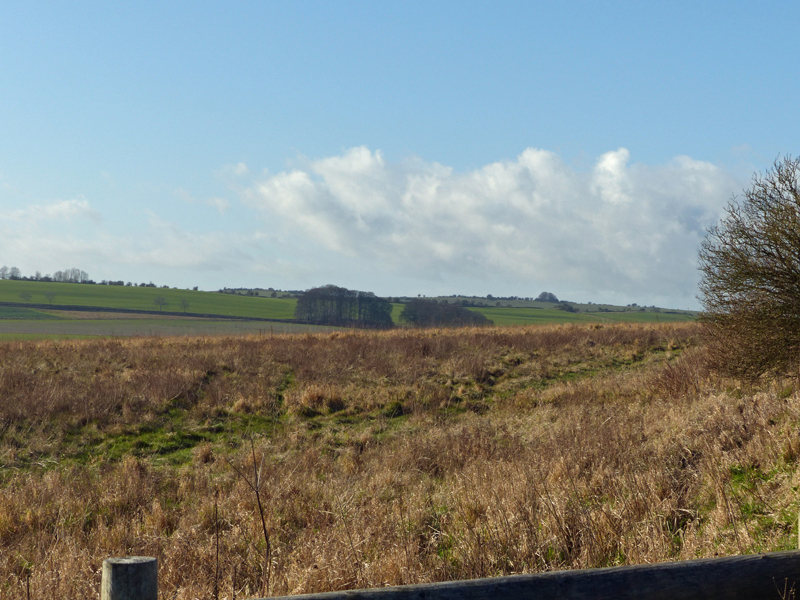 Covering nearly an estimated 21 acres, the enclosure has three concentric ditches, with the area between these known as the causeways. Believed to have been a more seasonal rather than permanent site, early Neolithic farmers lived in the general area and the use of the enclosure was perhaps more of a meeting place with ceremony, feasting and trade. 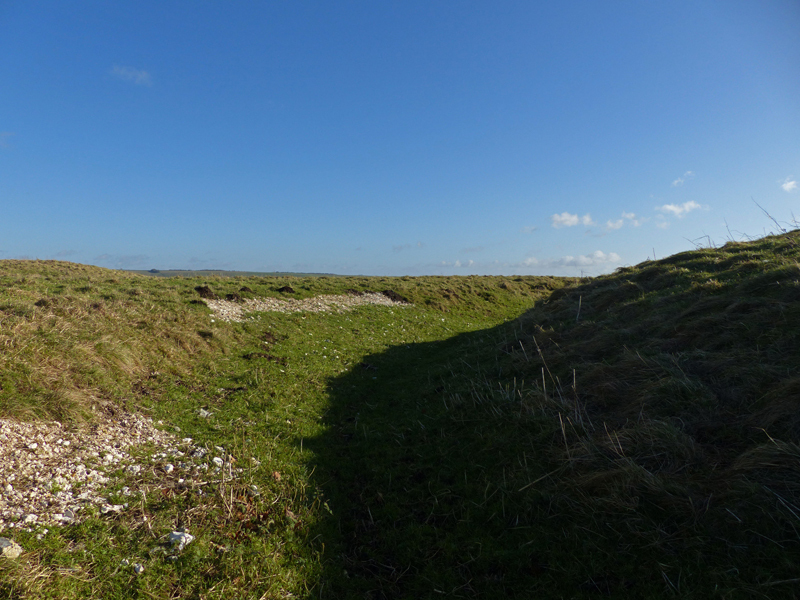 Within the enclosure are several very distinct Bronze Age round barrows. 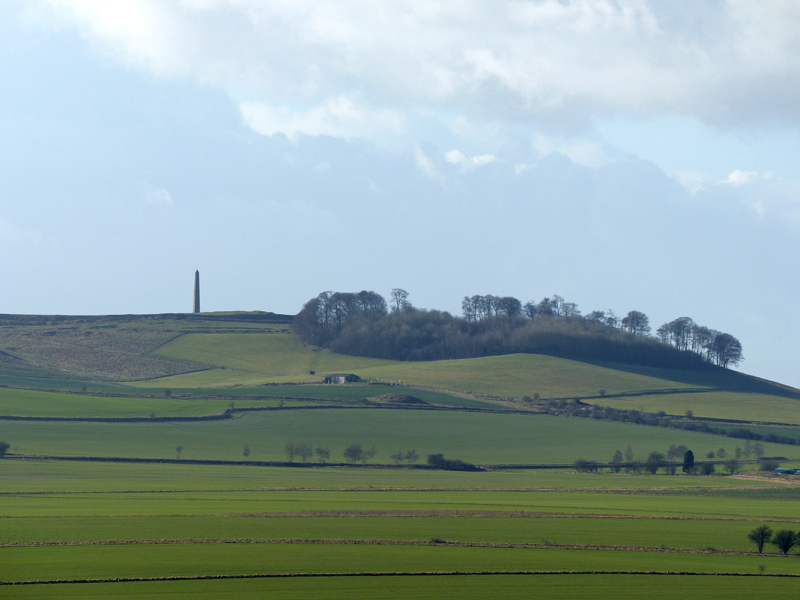 From a vantage point on one of these, many of the local prehistoric monuments can be viewed, albeit at distance. Looking towards Avebury the henge bank is visible as well as some of the larger standing stones (Stones 50, 201 & 206 which make up the Northern Inner Circle, and 46 the Swindon Stone). Also visible is West Kennet Avenue, East and West Kennet Long Barrow, Silbury Hill as well as the Ridgeway, Barbury Castle, Oldbury Castle and many other sites. With sunny blue skies and singing skylarks to lift the spirit, we made our way back to the cars, returning the same way we came. 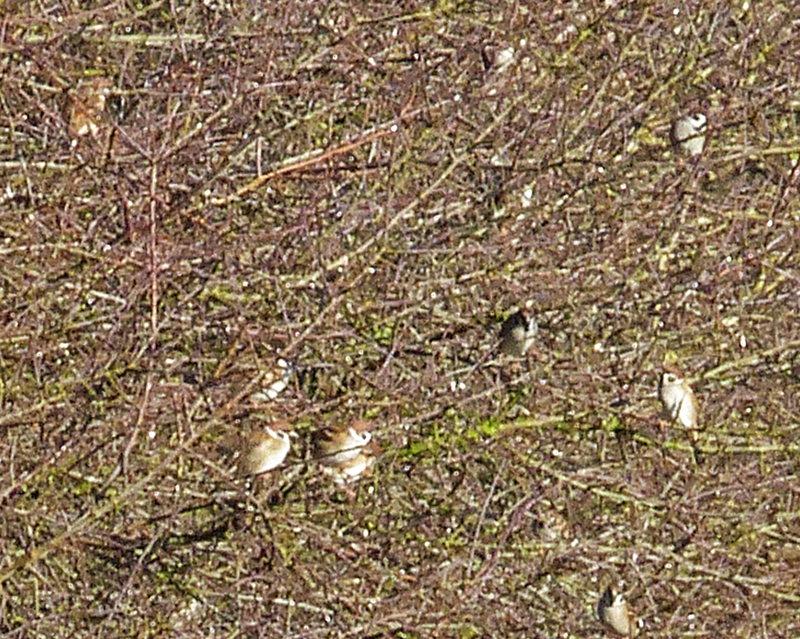 Walking along the track I saw around 60 tree sparrows feeding in some set aside field margin. This was a lovely example of how the local conservation effort by groups/landowners is paying off. 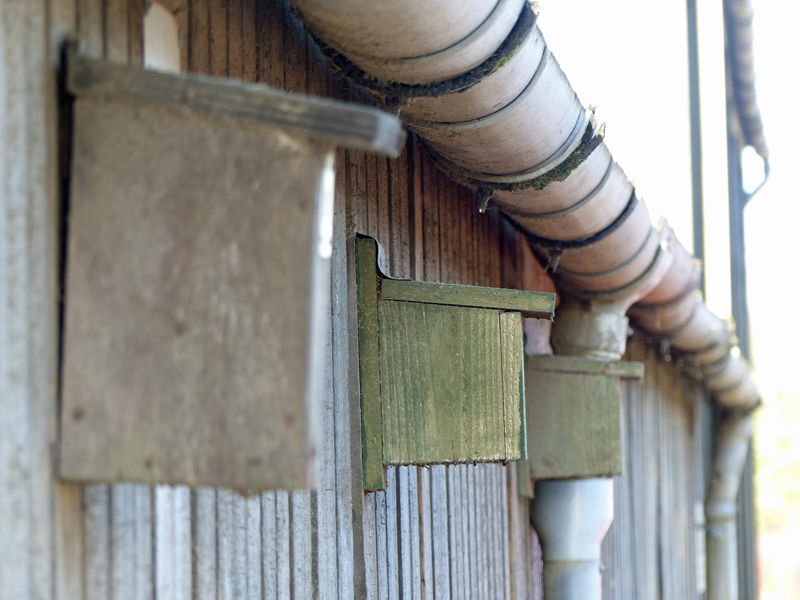 I also noted a few nest boxes put up to help this species, so thumbs up to the landowner. A great morning of fresh air, exercise, lots of history, beautiful scenery and some lovely nature. This entry was posted in General on January 26, 2018 by Tasha Winton.